Emmanuel Neretse, author of the following article I translated from French, explains a particular reality from someone who has closely analyzed the timing of the Rwandan president Paul Kagame’s wars. As the writer highlights, there is an apparent pattern. For example, the attack that the Rwandan funded CNDP of Nkundabatware which was stopped at the outskirts of Goma in November 2008 when Barack Obama was being first elected, was not a military offensive not planned in consideration of regional and international events of the time. The occupation of Goma in November 2012 by the again Rwandan funded M23 occurred at the time when and following a military offensive organized during US elections where Barack Obama was seeking his second term in office. What Emmanuel Neretse points out refers to other war ventures of Paul Kagame that were initiated at different periods of the recent history of the region, not by hazard, but according to particularly selected moments of world’s affairs. It’s always when the global general public is focused elsewhere that RPF of Paul Kagame strikes. On June 11, 2014, serious armed incidents occurred on the Rwandan-Congolese border, 25 km from the provincial capital of North Kivu. The Rwandan government announced that it had pushed back Congolese soldiers who had entered its territory and killed five of them. DRC government, meanwhile, speaks of one Congolese soldier captured by the Rwandan army on Congolese territory and was subsequently executed. This had been then followed by an exchange of gunfire and artillery shelling between the two sides continued the next day on June 12. Here is the hic: the Football World Cup begins in Brazil on June 12 and for weeks, the world will have its eyes and ears fixed on Latin America. This World event will then overshadow all others, even more dramatic as the war that troublemakers will lead quietly and almost without camera and in private. So if Paul Kagame harbored intentions to conduct an nth war in Congo, the timing is perfect because it would not be the first time he sees the football World Cup as an opportunity to launch his wars away from international media presently focused on another major event, as we shall see. In August 1990, Iraq invaded Kuwait and conquered it in a few days. At the time, the international community and the world will be preoccupied by this event that it looked like the world had stopped everywhere and nothing was happening, especially in Africa. Well, this is the moment Tutsi elements of the Ugandan army and operating under the rebel grouping of the Rwandan Patriotic Front (RPF) army to invade Rwanda. At the regional level, the timing attack of the attack corresponds to the period when the leaders of the concerned States (Museveni and Habyarimana) are in New York during the General Assembly of the United Nations and the World Summit for Childhood. [US are at the time led by the Republican George Bush father. We are at the end of the Cold War. Communism as a political and economic system has been overtaken by Capitalism. US see itself as the remaining and unique global power around. And because of that new configuration, a remodeling of zones of influence of the past enters in full swing, particularly in Africa – editor’s emphasis]. January 17, 1991, after months of consultation and communication in all directions, the United States launched the “Desert Storm” operation to remove Saddam Hussein from Kuwait. The eyes of the world were focused on the impressive “air strikes” and the world will hold its breath until February 1991. This is the moment chosen by the astute Paul Kagame, who in the meantime has become commander in chief of the “Tutsi rebellion” to undertake a spectacular raid on the town of Ruhengeri. The tactical impact of the raid would remain insignificant because the city was not even occupied. The attackers who had just had enough time to open the (regional) jail, to make targeted killings in the city, emptying bank vaults and take some hostages to the Virunga National Park where they had come from. On the contrary, this action allowed Paul Kagame perk up the morale of his fighters who, after the debacle of Mutara in October 1990 had began to doubt the strategic vision of their leaders who had led this adventure setting them for nowhere, and some had started deserting the front materialized by forests along the Rwandan-Ugandan border. At the same time, the RPF Kagame put its hands on some Hutu political prisoners serving their sentences in the Ruhengeri prison and they would now serve as evidence that the rebellion was not exclusively Tutsi. In that year, the world’s attention is drawn to the situation in Somalia, where chaos and famine are prevailing and the United States have just been humiliated by insurgents who have exhibited to the world GI’s bodies trailed behind pick-up vehicles in the streets of Mogadishu. The United States itself, the presidential campaign that will culminate in the election of Democrat Bill Clinton in November is in full swing. This is the time that Paul Kagame chose to try to occupy a portion of the territory in Rwanda; in the process he displaces thousands of farmers and causes death for other hundreds among them. The offensive will be successful, and the RPF was able to show to the world that this time it had its headquarters in Rwanda [Mulindi] and therefore, one should not link it to Uganda, its historical background base. But the international community will never know that the rebel group managed to move to Mulindi by committing the worst crimes of war and against humanity. The world was distracted by something else. In early 1993, a bomb exploded at the World Trade Center in New York. Sadness and anger are at their high height and security services are on alert mode. International news is dominated by the end of Czechoslovakia and the birth of two separate states: Czech Republic and Slovakia. This is the time that Paul Kagame chose to leave the negotiating table in Arusha, breaking the cease-fire and launching a major offensive that has allowed it to establish a buffer zone in Byumba and Ruhengeri. It was after this flagrant violation of the cease-fire that nearly one million people are displaced driven from their property by the same RPF; they came to live at the outskirts of Kigali in makeshift shelters ironically baptized then the “armored”. This humanitarian catastrophe seemed to have surprised NGOs and the international community as if they suddenly discovered that Kagame was not leading a clean war as his effective propaganda machine has made everyone around the world to believe. But it was too late! In 1994, the world celebrates the end of apartheid in South Africa and the victory of the ANC of Nelson Mandela now president of a democratic and multiracial South Africa. In the international media Africa is at that time perceived through that idyllic image of a new dancing, tolerant and promising South Africa. Another significant international event: US organize the football World Cup and the press worldwide is mobilized to meet this global event organized, moreover, by the only super power of the ending 20th century. This is the time that Paul Kagame chooses to lead the final assault in his conquest of Rwanda, adventure he started four years before. On the evening of April 6, 1994, he assassinates President Habyarimana; he orders out his troops from their quarters at the Rwandan parliament building; he orders his commandos infiltrated in Kigali for months to carry on their mission and he launches a military offensive along the whole front of the entire border with Uganda where columns of heavily armed battalions starting from Ugandan army barracks converge towards Kigali. 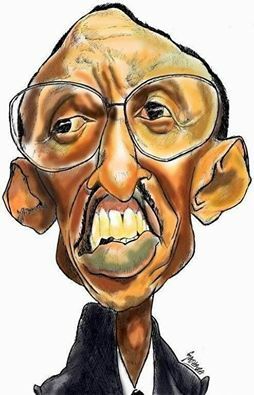 Within three months, Paul Kagame becomes the master of the whole Rwanda emptied of more than half of its population, but that does not bother him! On 17 July 1994, he proclaims a government in which he is the strong man. The world will only discover a posteriori the slaughter that will have been the incisive war of Paul Kagame to conquer the country away from the camera of the world media. The kickoff of the football World Cup is given on 12 June 2014 in Brazil with the opening game between Brazil and Croatia. The whole world will now be watching this global festival of football for at least a month. But at the same time, since June 11, Rwanda has launched hostilities against the DRC in attacking the Armed Forces of this country and the Rwandan army says proudly having killed a half-dozen on the first day! This incident occurring in the publicized process of demobilization of the Hutu rebels of the FDLR who announced their abandonment of armed struggle can only cause concerns. Indeed, the regime of Paul Kagame has always used the pretext of the existence of the FDLR to justify its recurrent occupations of DRC, creation and support for multiple rebellions that have destabilized Eastern DRC, as well as to enjoy impunity for crimes committed in Rwanda and the DRC by the Tutsi army of Paul Kagame. It is feared that, as usual, Paul Kagame might have initiated on this 11 June 2014, on the eve of the football World Cup football, an event that will hold the attention of the world and have eclipsed all others for weeks: a new war against the DRC and of which the objective assessment of its consequences will only be known far into the future. Last but not least! Paul Kagame has organized the assassination of General Kayumba Nyamwasa in South Africa when the country organizing the football World Cup football in 2010. And the assassination of Colonel Patrick Karegeya was operated in the same country during the end of year 2013 holiday season. In both cases, the world was preoccupied with something else. The Congolese government should know that the austere Paul Kagame, far from being distracted by the World Cup, taking advantage of this period of media blackout on the rest of the events around the world to launch his wars or acts of aggression. Rwanda, of which he is ruler for 20 years, didn’t he conquer it during the football World Cup held in US in 1994 when the world was distracted as this is the case this month of June 2014? Rwandans have learned it at their own expense. You have been warned! The pending critical question that pops up in mind is this one: Knowing the timing of these world’s events, what can be done by concerned authorities to prevent Paul Kagame from striking during those moments? How can he be stopped from for example assassinating Etienne Tshisekedi, around the end of the football World Cup, meaning early July, to cause chaos and mayhem in DRC, if APARECO’s intelligence allegations came to be true about the presence of Rwandan special forces already stationed in Kinshasa? As they say, the best defense is the attack. It is never late to learn. Even from one’s enemies. Next CNR-INTWARI YAHAGARITSE GUKORERA MU MPUZAMASHYAKA YA CNCD.